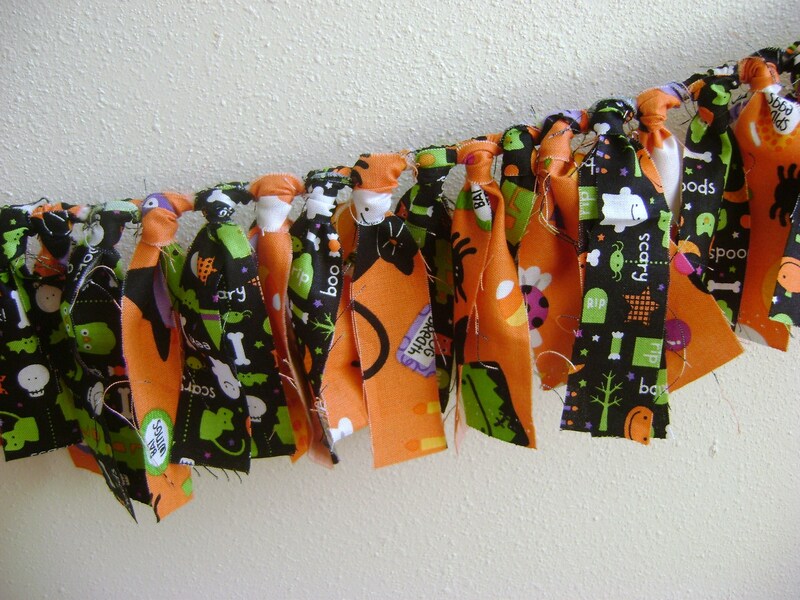 I looked around this morning and found a few spots that needed a little last minute Halloween sprucing up. It’s not too late! Oh, the other rooms were ready for the day but that one wall in my room was just a bit too…hmmmm…boring. Yes, that’s the word. 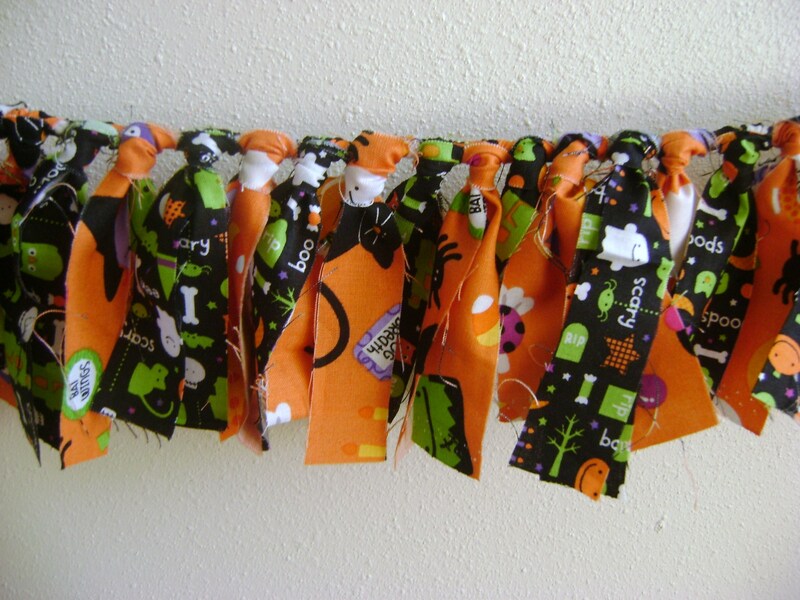 There were just enough scraps from Lily and Beckham’s Halloween bags to toss together a pretty little banner and believe me—it was incredibly simple. 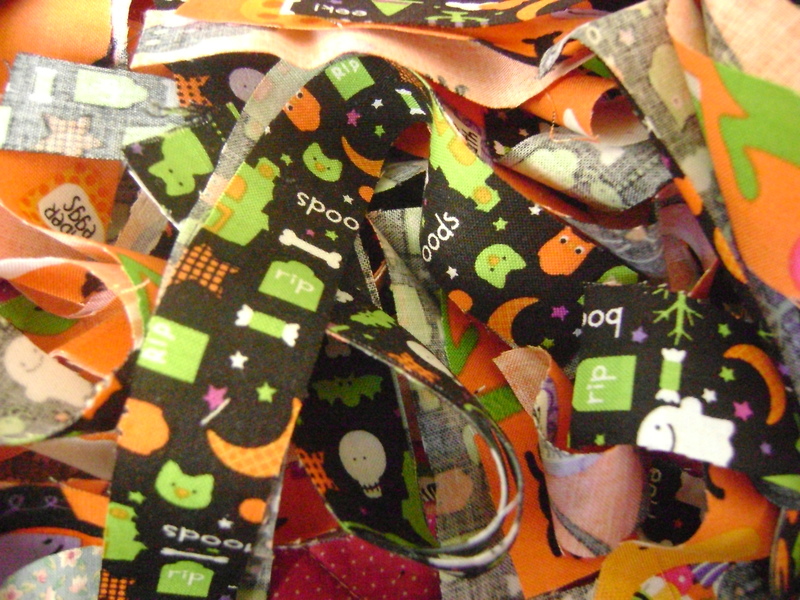 Cut Halloween scrap fabric into strips about 1 inch by 7 to 9 inches. The length wasn’t perfect science–just approximate measurements were fine. 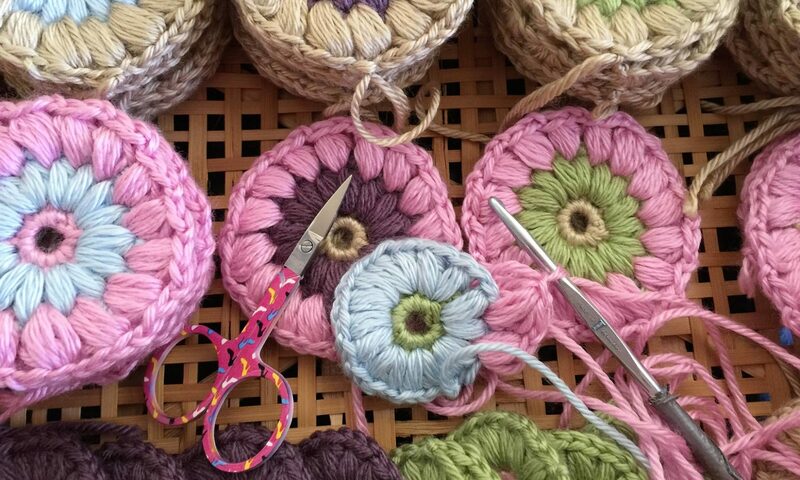 Loop each strip around a piece of cord, rope or in my case–clothes line. I used about 4 feet of it. then gently tighten it like a tiny little neck tie. Ohhhh…sooo….cute! 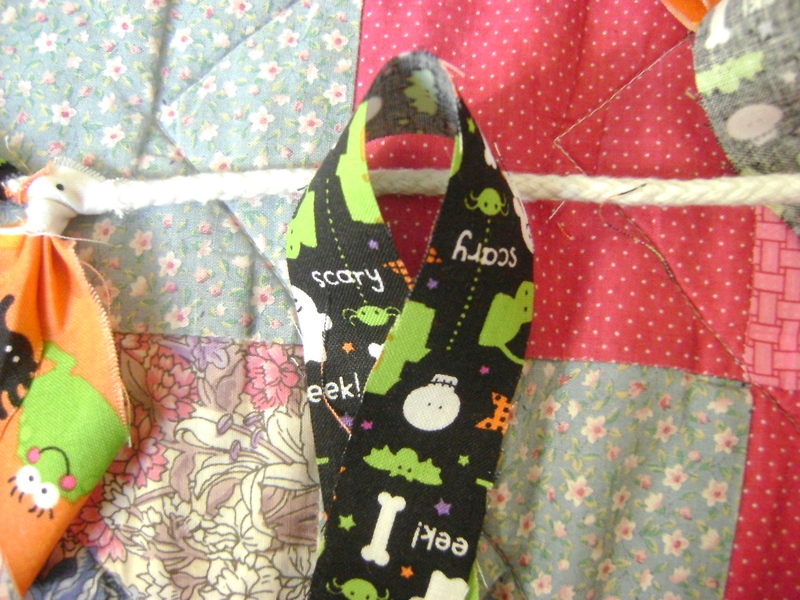 Keep adding the knotted strips until you have the length of banner you need. 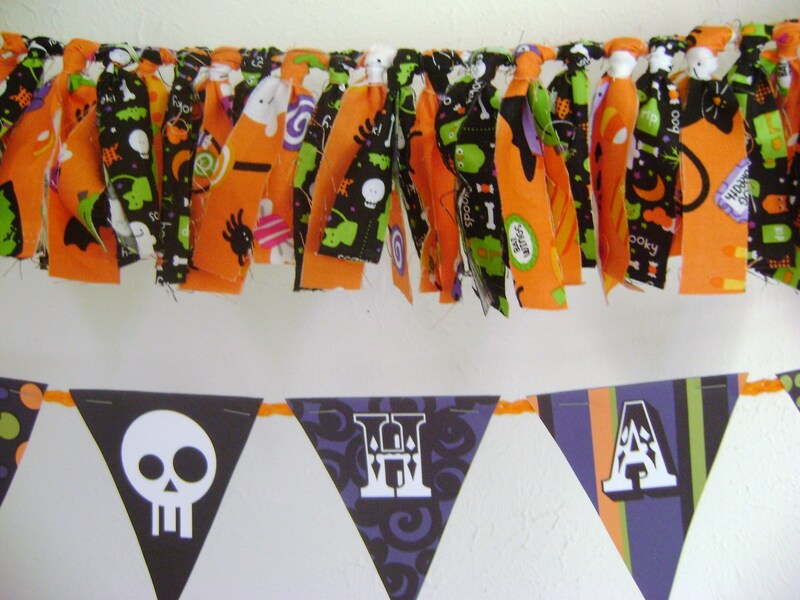 :} Oh, and the sweet “Happy Halloween” banner with the spooky skulls? Why, it’s from my clever little daughter’s blog–Prairie Grass Patterns. How’s that? Two cute things for the price of one! Oh, wait…they’re both free. Bonus. Both free and SUPER cute! I love them! 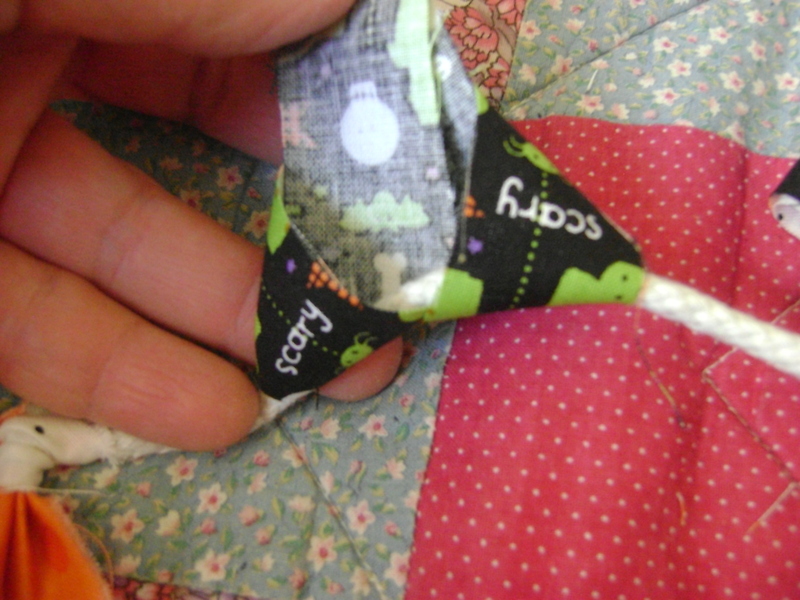 Finally a fabric-y something that I could make! 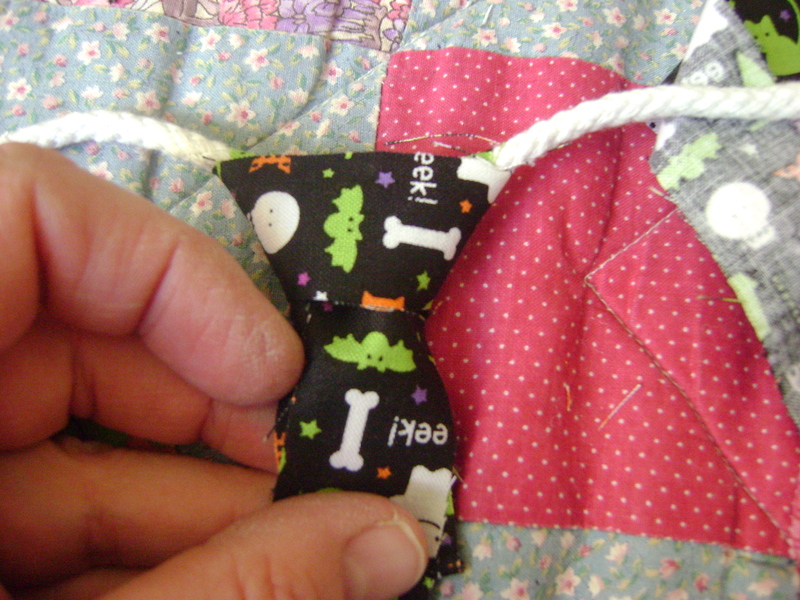 😉 No sewing involved… PERFECT!